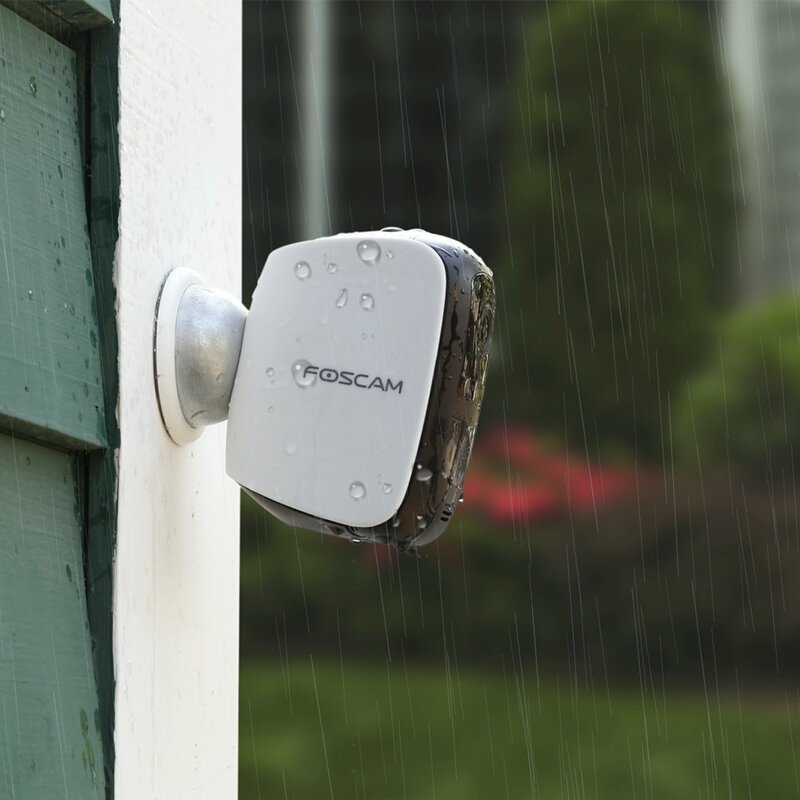 100% Wire-Free Battery Powered Camera with no drilling or wiring hassles. Long lasting rechargeable battery with 5,000mAh capacity. Strong 802.11n 2.4Ghz WiFi connection powered by Broadcom chipset between camera and base station. ( Note: Existing Foscam E1 Base Station required). Full HD 1080p Live View & Playback thanks to powerful Ambarella main chipset and Sony CMOS sensor. Night vision up to 25 feet in low light or even in the dark. 110° diagonal angle of view with more sharper details. 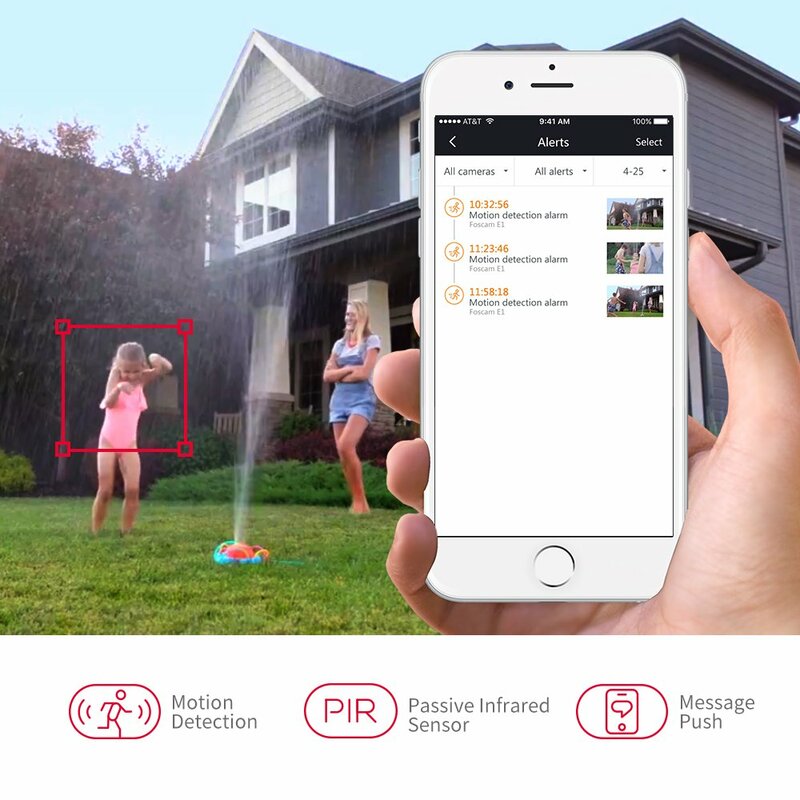 Listen and talk back through the built-in mic and speaker from Foscam App. Operating temperature 32 degree to 131 degree Fahrenheit. Up to 4 battery-powered cameras can work with one base station.Adding additional cameras to this E1 Base Station is just a tap away with convenient sync button pairing option. 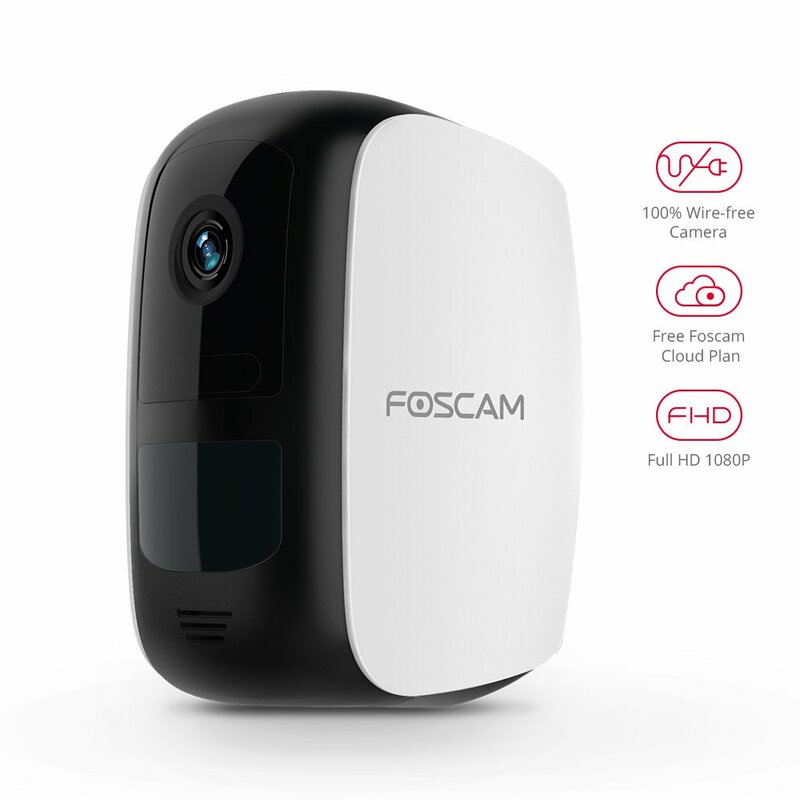 Live stream and access trigged video clips from your Foscam Cloud when you have an E1 base station. 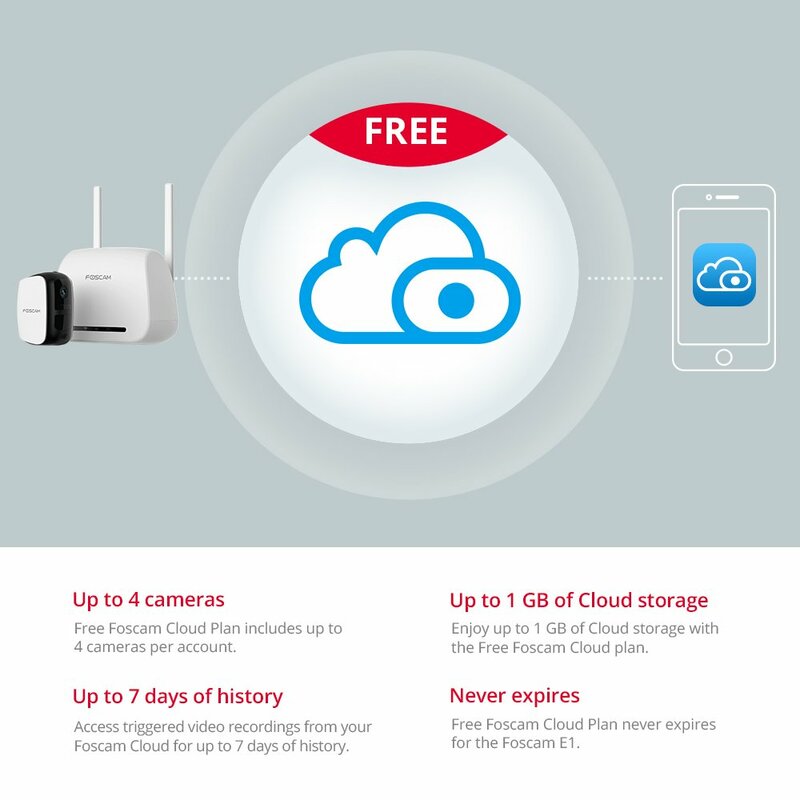 Each cloud subscriber account in this free plan will supports up to 4 wire-free cameras. Developed on US-based Amazon Web Service server, Foscam Cloud is of high-level encrypted security and privacy protection. (NOTE: The B1 will support Chrome/ Firefox /EDGE web browser management with Newest firmware updated via internet.IE is not supported for now).